Just before Christmas, my husband told me he wanted to give a gift to his boss at work. I was going through my Pinterest boards (come follow me!) and came across a mug I had pinned from Café Press that had a fun saying on it. He totally loved it, but it was only a couple days before Christmas and the mug was $15. I offered to try making one and this craft was born. I started by designing and cutting the sayings on my neighbor’s Silhouette…still don’t have one of my own. 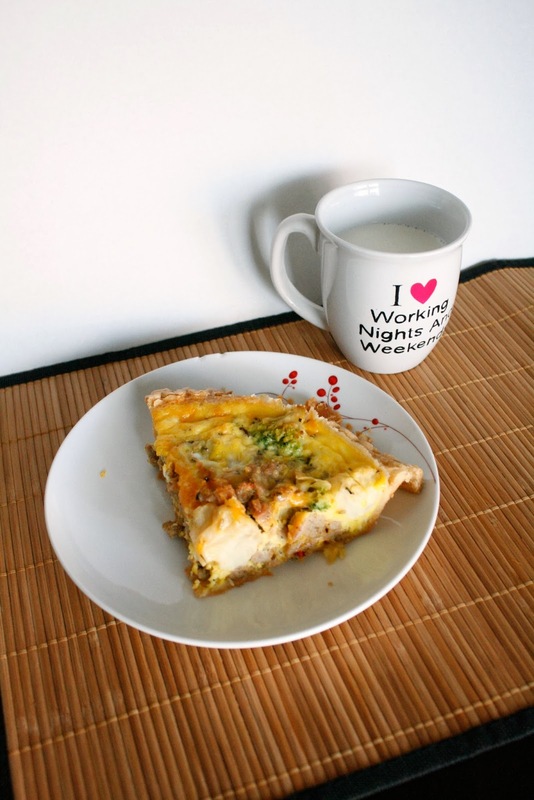 The sayings are accountant jokes – if you didn’t get them. 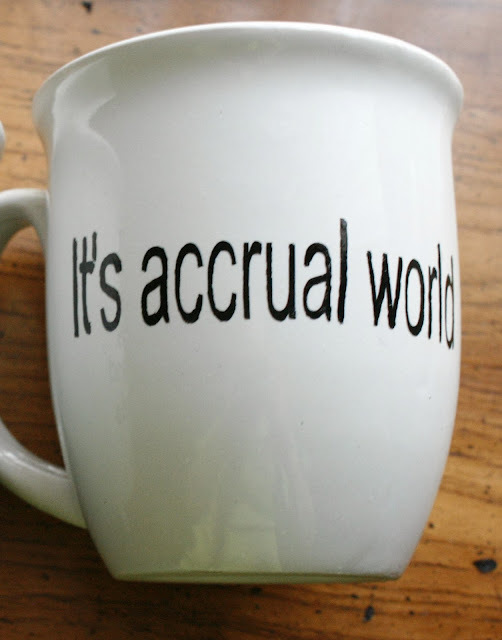 I still have no idea what accrual is, but my husband thinks it’s a fun play on words. Apply the sticker or vinyl to the mugs. The mug on the left got a little crooked with the curve of the mug, I should have cut each of the words apart to prevent the vinyl from wrinkling. Then use your paint marker or Sharpie to color in the saying. A paint marker will hold up better, but if you only have a Sharpie it should hold up ok, but only hand wash.
As you can see the paint bled a little bit. To clean this up, use a cotton swab with nail polish remover to remove the paint that bled. Once you’ve got it just the way you want, bake it at 350 degrees for about 20-30 minutes. Remove from oven and let cool. Hi Alex, love these! SO cute, stopping by via DBB! Thanks Allie, glad you liked them! Those turned out great! I love that you used a Sharpie, genius! Thanks Kaysi! It was one of those last minute things and they ended up turning out great! Love this! I seriously need to start using my Silhouette to make things more often. I use it to cut paper and that's about it. Pinned! See that's one of the reasons I'm not too sad about not having a Silhouette, I;m not sure I would use it enough...but maybe if I had one I would use it more than I imagine...anyway, thanks for coming by! Yes, I'm very grateful to use her Silhouette! 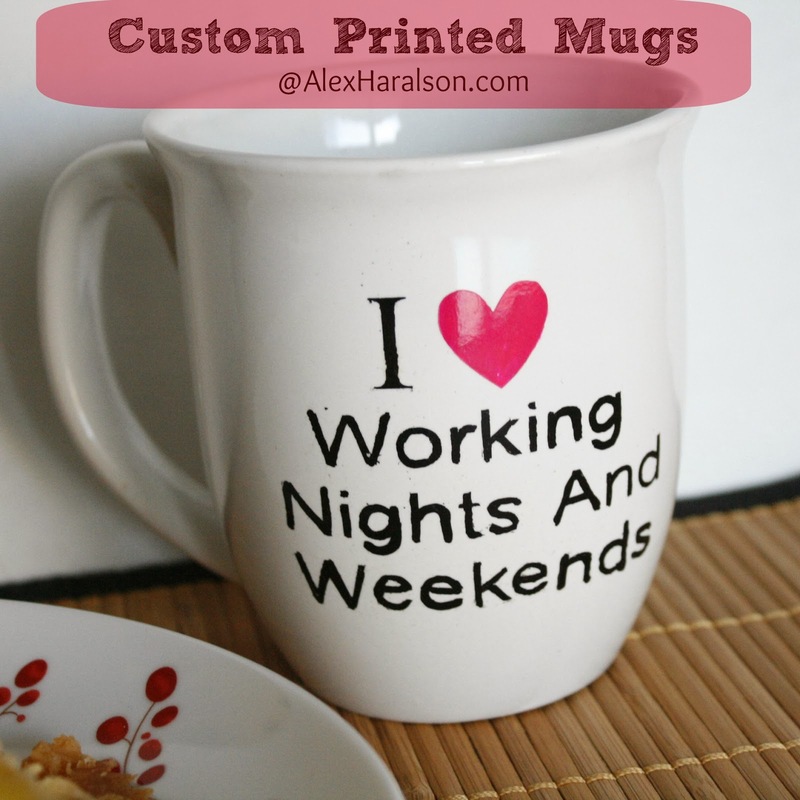 Alex, these look fantastic and I absolutely love your sayings! :) Thanks for sharing - pinned! Have a happy Tuesday and a wonderful week! Thanks Cindy, I wish I could take credit for the sayings, but they were on the Cafe Press site. Thanks for coming by! Yeah, I'm not sure what they thought, I'll have to ask my husband. Accrual is something in finance with interest and something else...don't understand, but since it sounds like 'a cruel' that's where the joke comes in. Thanks for coming by! Hey Katie, thanks for following along! I'm glad you liked the mugs. Hope you have a wonderful evening! Love this! Especially the nights & weekend one! :) Here from the Weekend Retreat. Thanks Kristen. My husband likes that one too. Except now he wants me to edit with a X over the heart. haha. It's been a long busy season.